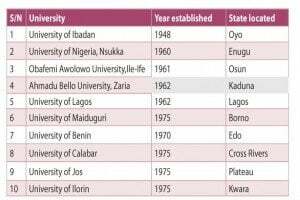 Here are the list of the top 10 oldest universities in Nigeria. Their names, year established and state located are also included. Let’s have your say about these schools in the comment section.